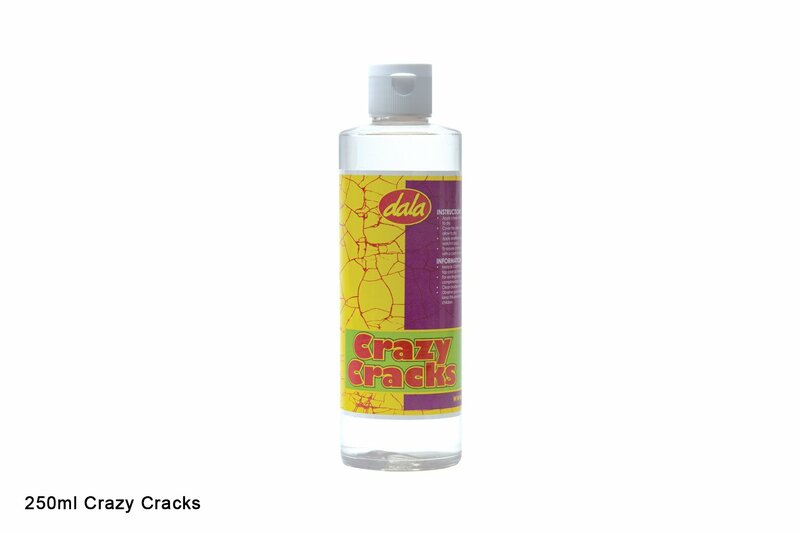 Dala Crazy Cracks enables you to create interesting crack formations by sandwiching it in between two layers of Craft Paint. Create interesting crackle effects by using this product in conjunction with Dala Craft Paint. Apply one layer of Craft Paint to your chosen surface and allow to dry. Next apply a layer of Crazy Cracks to the dried Craft Paint coat and allow to dry. Lastly, apply another layer of Craft Paint and the crackle pattern will take effect. Can be varnished for protection using a solvent based varnish. This item has 1079 views.